We had a amazing week! we worked very hard to polish every corner of the game and are very happy with the result. 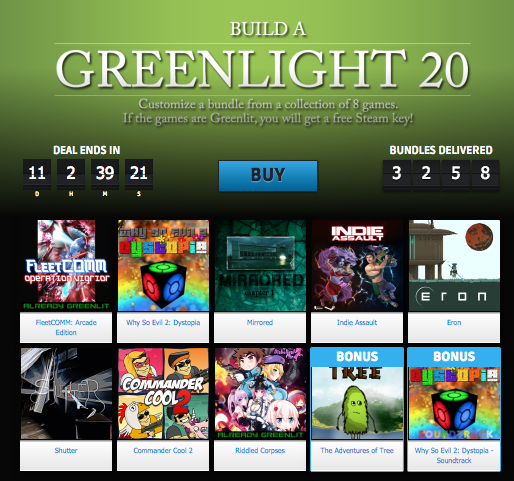 We also made our way in the popular Greenlight Bundle by Groupees. So now you can purchase Commander cool and get a steam key when greenlit. We also updated our alpha demo with a completely new UI, a bunch of new levels, tweaked weapons and enemies, a new health bar and many more minor fixes and improvements. Here is an updated gameplay compilation video with singleplayer, coop and deathmatch. step up from your typical” Green Tea fat burner that you can buy at your regional Walgreens. Your website offered us with valuable info to work on. You’ve done an impressive process and our whole group will be grateful to you. the highest quality sites on the internet. I’m going to highly recommend this web site! a quick visit of this web site; this weblog carries remarkable and genuinely fine information for readers. I am in fact happy to read this blog posts which consists of lots of valuable data, thanks for providing such information.